Premium quality polypropylene art presentation folio. 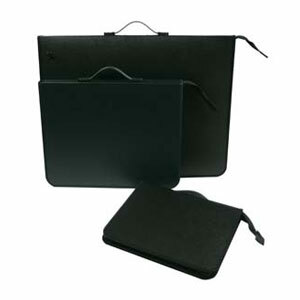 The Colby 620 Presentation Portfolio features black metal rings and handy organisation pockets. A1 & A2 sizes come with a shoulder strap and handles.